The CH701 was flying straight and level at 70 kts on a cross-country flight. While reaching for a water bottle, the pilot accidentally snagged the left-hand inner door handle, releasing the door. 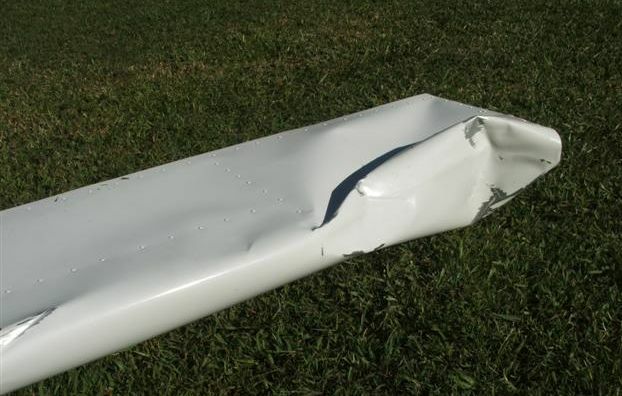 The door instantly slammed up against the bottom of the wing, with such impact that the outer handle punched a hole through the wing skin. The pilot grabbed and held the door with one hand, and slowed the aircraft. But the front hinge had broken with the initial impact, causing the door to skew somewhat across the wind. The resulting force was so strong that the pilot couldn’t pull the door in again, even at 50kts. Eventually he had to let it go. 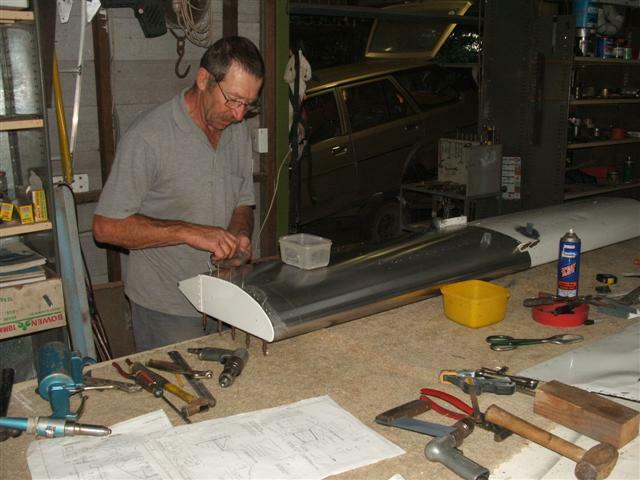 When it went, it hit the horizontal stabilizer, causing considerable damage to the leading edge, breaking the left forward mounting bracket (7.H.2.6), and bending the right forward bracket. So the horiz stab was then somewhat skew to the fuselage. The aircraft was still flyable, but with considerable drag and a left yaw bias. The pilot continued on to an airfield and made a successful landing. Damage to the horzontal stabilizer. Broken and bent brackets. The remaining door handle in that aircraft was noted to be smooth and easy in operation (maybe too easy....). Many of us would have tried flying with the door partially open, and found them to seem stable in the airstream. Further examination of the remains of the door, and speculation as to how such violent forces could develop that would rip the door in two, are very sobering because it demonstrates that the potential is always there for everyone. A practical demonstration would be to remember what it’s like to hold your hand outside the car window at road speed. Keeping it flat and parallel to the airstream it just floats, but increase the angle of attack just a little bit and it zooms up. Now imagine trying that experiment while holding a small flat plate at a speed of 80mph! 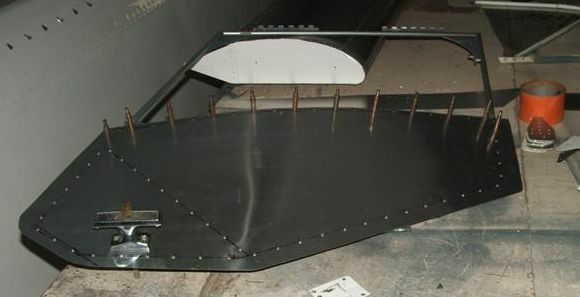 The aerodynamics of a flat plate are such that at zero AoA the lift is zero, but a small increase in AoA generates an enormous lift instantly. Now extend that vision to a flat plat of the area of the door at 80mph and the lift would be enormous. 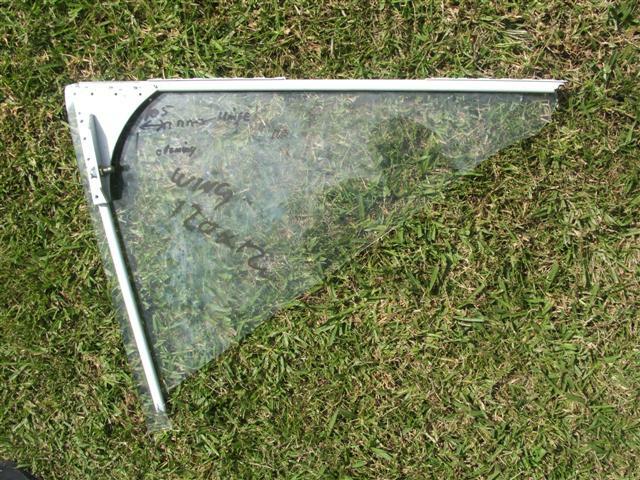 Now imagine taking a hammer and hitting the bottom of your wing as hard as you can – probably get a big ugly dent. The impact from this incident drove the outside door handle right through the wing skin! The door itself has very little mass, so the velocity must have been extremely high to generate enough momentum to cause that puncture! The photo below shows the remains of the door. It turns out that the front hinge didn’t break – the door frame broke at the front of the front hinge, and below the gas strut attach point on the rear, and tore the 2mm thick polycarb diagonally across. I think that break just below the strut attach point is a key clue. 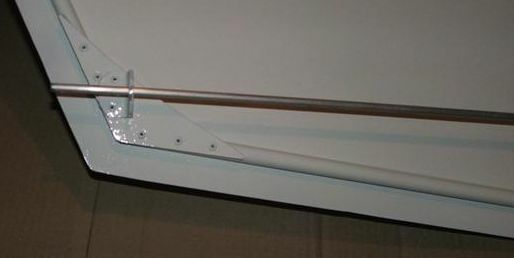 The function of the gas strut is like a shock absorber, considerably slowing the movement of the door both up and down. These lightweight doors are very flexible, particularly in torsion. If a swirl of the slipstream got under the leading edge, forcing it up suddenly, the damping effect of the strut would cause the door to flex and increase the angle of attack considerably, thus increasing the lift force enormously. This is now an unstable situation where increasing flex of the door leads to increasing lift force which leads to increasing flex which leads to even more lift force........ This scenario would account for the evidence as I see it. Going from a stable situation of the door just floating there, to a dramatic and violent episode can happen instantly, and without any warning! Please keep this scenario in mind whenever you consider having a door open to the slipstream!! It’s not a fault in the design of the 701 door, it’s just a fact of life, and also applicable to any other doors of similar design. As for latches, definitely need some detent or over-centre that tends to keep the latch closed. The simplest would be a light elastic shock cord angled to keep a steady pull to the closed position. The Savannah latch shown below uses gravity to keep it closed. I'll be adding extra weight to the end of the handle to improve that. I note that my Savannah has a small over-centring secondary latch at the front of the door. I haven’t been using it because the door fits well enough without it, but certainly will be using it for insurance always in the future! 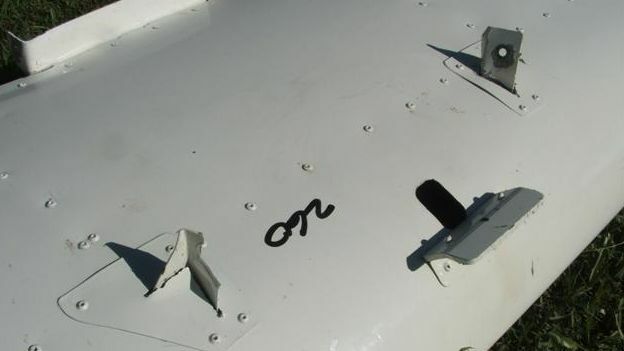 Such latches are readily available and can be made to fit to almost any aircraft. Another simple solution is to use a loop of light shock cord which will hook over a projection on the door frame – enough to keep the leading edge of the door in place even if the main latch is opened, but yet can be ripped open in an emergency. 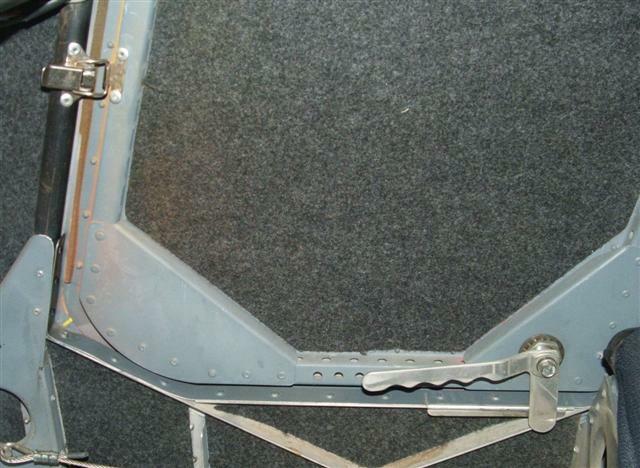 We already use that method on several aircraft to hold in the trailing edge of doors that are forever sucked out a bit by the airstream. Below is the solution that we used on this replacement door, going by the above guidelines. and other possible fixes and latching methods as they come to notice. Part of the door still attached to airframe. Savannah latches. New latch on the new door. New trailing edge latch. New latch. Gravity tends to keep it closed. This a garage door latch and is a bit heavy and crude, but all we could find locally. The handle was in line with the latch, but I moved it 90* so that gravity will tend to keep it closed. It requires about 75 degrees rotation to unlatch, so it needs a very positive action to open. 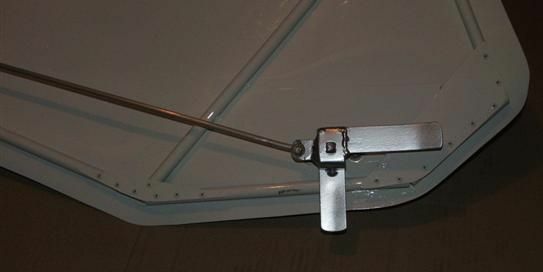 The sliding rod is to prevent the trailing edge of the door from riding slightly open as so many do. The damaged stab at noon. Hans finishing the repair at 6pm. We arrived back at 2am after a 12hr road trip to get the stab. At 10am Hans started the repair. At 6pm it was finished! That Hans is dangerous with a rivet gun - stand still for a minute and you'll be rivetted to something!!! Day 2 - This is the new door already. It's much more rigid than the old one, because Hans used 1.6mm material for the inside gussets - feels a lot better. Day 3 - New latches as above. 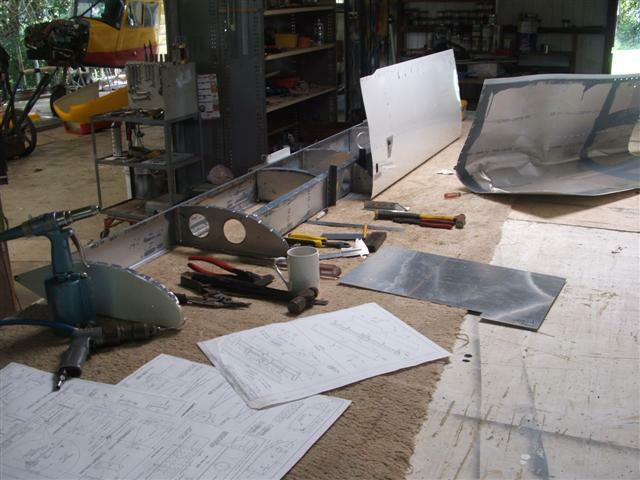 Stab and door painted and ready to go back on aircraft.